You are looking west down 6th Street between Hennepin Avenue in the foreground and 1st Avenue in the distance. 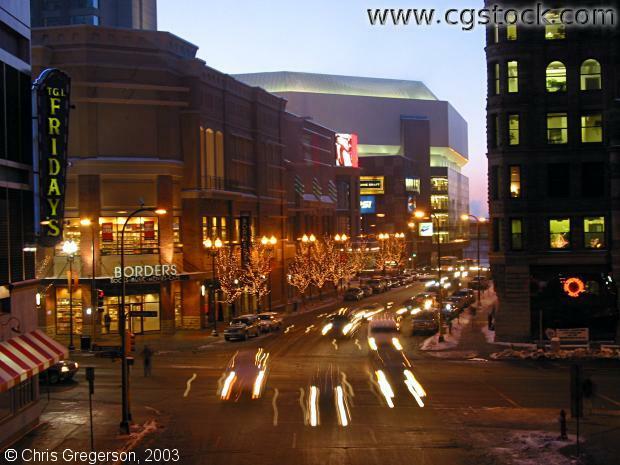 On the far left is City Center, followed by Block E and Target Center. On the right is the old Masonic Temple building, now the Hennepin Center for the Arts.